When you have an email with an image at the very bottom of an email, sometimes that image is not displayed in Apple Mail. This is a very strange bug that is unlikely to manifest in real campaigns because most emails contain footer text at the bottom. 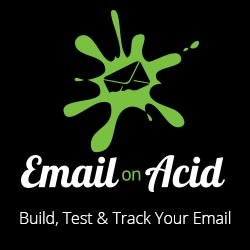 However this can be very frustrating and confusing when experimenting with different email designs and techniques. Consider the following email content that contains two images. If you send an email to freshly launched Apple Mail client, opening the email will result in the second image not appearing. However if you add any text after the second image (a simple period would do), this problem does not occur! I have filed a bug with Apple, but who knows it will be fixed. Its not a big deal but its something that is good to know. Just thinking this could affect tracking pixels if they’re added to the end of the code rather than the start. Another reason to include them at the top of the code. Is this specific to the Apple Mail + the Apple email domain? I run a test for a gmail account set up on the Apple Mail client and Tracking looks accurate. The tracking pixel (Exact Target) is placed as the last tag before the closing body.